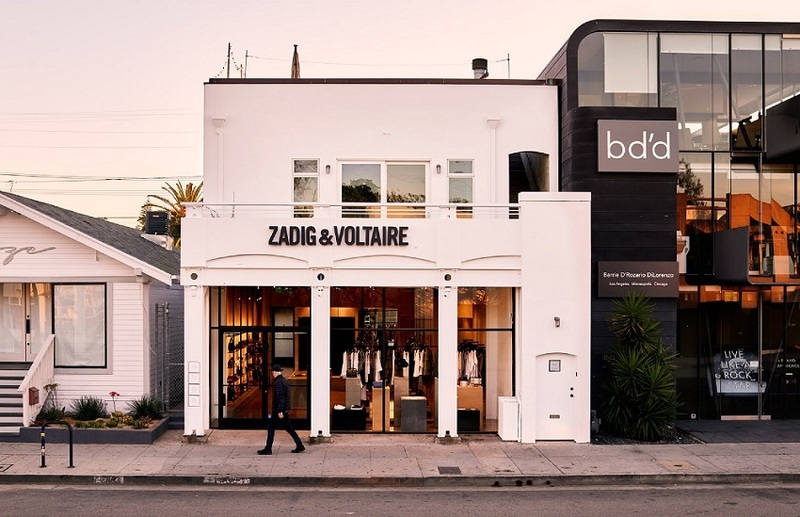 The Paris-based contemporary label Zadig & Voltaire’s Abbot Kinney location bowed in April of 2017. At 1,800 SF, the interior is a minimalist space with an industrial edge. Concrete floors offset glass and black steel frame racks, while unfinished oak platforms bring a hint of warmth. The walls of the space are clad in a concrete-finish panel, further heightening the industrial aesthetic of the space. 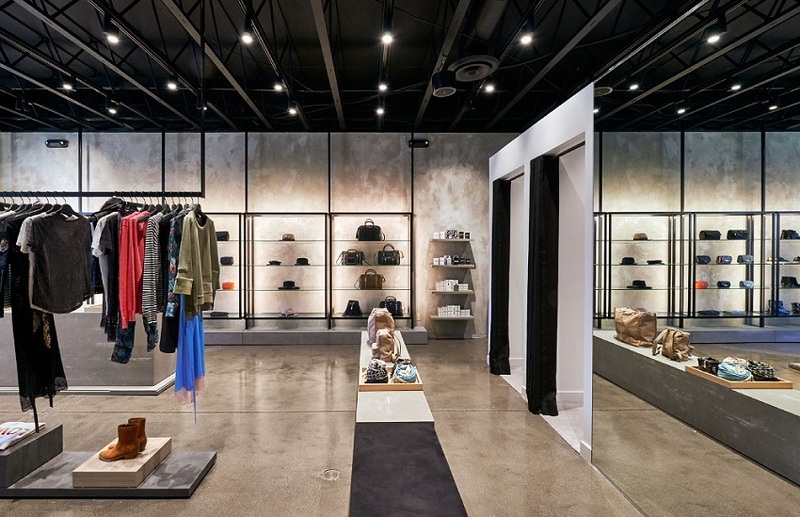 The exterior of the store was redesigned in white, with floor-to-ceiling glass windows bringing the passerby into the store. 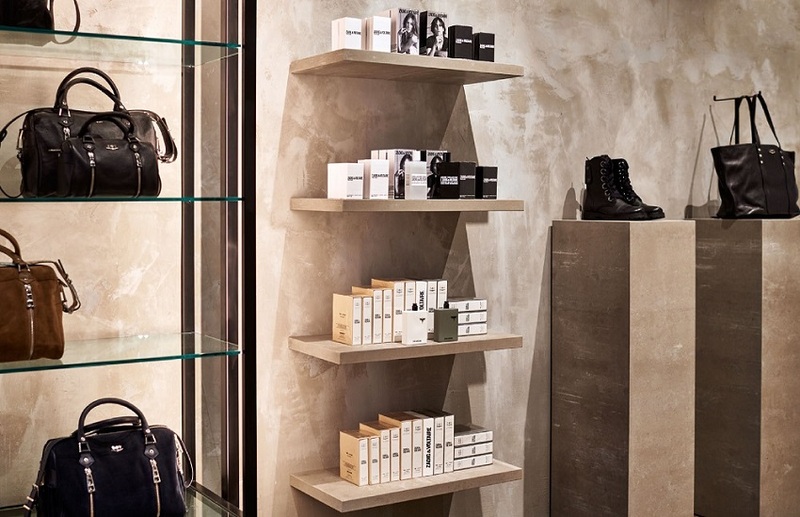 KPA worked closely with the Zadig & Voltaire team to develop the exterior storefront and to translate the brand’s interiors concept to this specific location.